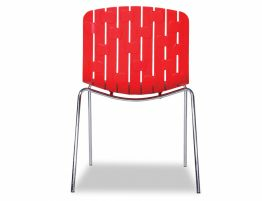 Original Gotcha chair in red is a standout. Modern and timeless with a broader seat and distinctive back design for your sitting pleasure. 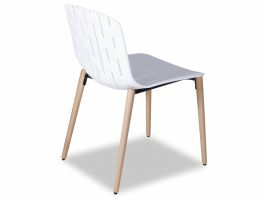 This was the objective of Spanish design duo Enrique DelAmo and Angel Marti for OOland. 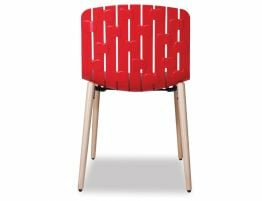 Make your first impression be a lasting one with Gotcha red dining chair. 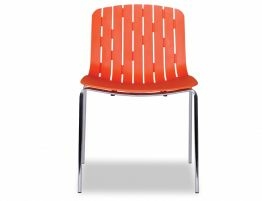 Whether it be in your kitchen, casual dining, cafe or restaurant, Gotcha design looks striking. Teamed with chrome legs for a classic look to suit many spaces. 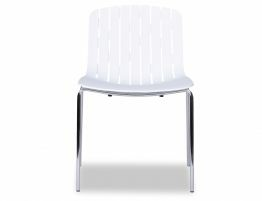 Gotcha chair is sturdy and durable to withstand the most active of areas. A simple wipe down is all you need to clean Gotcha, especially handy if you have young children.